In some storage situations, you may find problems in using a traditional above ground tank to store your heating oil or kerosene. Circumstances in which you might find this are in particularly small gardens that can’t fit a tank above ground or for sensitive landscapes that may be damaged by the tank. In such circumstances an underground oil tank may be the best solution. That’s why we here at CHF Supplies are delighted to provide excellent underground fuel oil storage tanks. 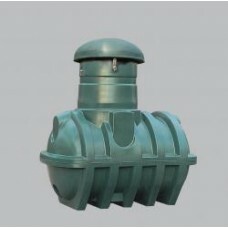 Each underground oil tank you can find in this section of our site is supplied by the expert manufacturer Harlequin and is made from polyethylene plastic, offering discreet and safe storage of oil, diesel and non-drinkable water. 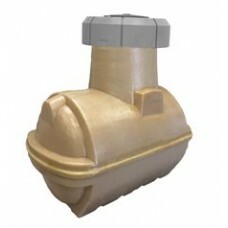 These one piece underground fuel oil storage tanks are designed to provide optimum strength and performance when installed underground at a standard depth of 500mm. Our underground fuel oil storage tanks are available in working capacities ranging from 1370 to 3090 litres in size, accounting for both unused volume and a safety margin. They also come with a basin complete with fill point, a contents gauge and an overfill prevention valve. All our underground fuel oil storage tanks comply with the necessary UK fuel storage regulatory requirements. If you have any questions about a particular underground oil tank we have in stock, or would like to have more information about any of our underground fuel oil storage tanks, please don’t hesitate to let us know. Delivery is included for free with all of our tanks. If you have any questions at all about our underground fuel oil tanks please contact us today. Please note all underground tanks may now have an additional delivery charge, please call to confirm the price against your delivery location. HARLEQUIN UG1400 UNDERGROUND TANK Capacity: 1370 litresLength: 1900 mmWidth: 1150 mmHeight: 202..
HARLEQUIN UG2500 UNDERGROUND TANK Capacity: 2410 litresLength: 2350 mmWidth: 1350 mmHeight..
HARLEQUIN UGO3200 UNDERGROUND TANKCapacity: 3090 litresLength: 3200mmWidth: 1350 mmHeight: 2220.. 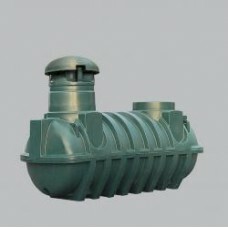 The 2500L Double Walled Plastic Underground Oil Tank is a pioneering new ad..